Peter van Oosterom is professor of GIS Technology at the Faculty of Architecture and the Built Environment. This chair concentrates on the spatial information infrastructure. Central point is the durable geo information that can be shared, re-used, based on joint definitions of data sets and services. Proceeding from technology and technology development the chair aims to contribute to the realisation of a spatial data infrastructure based on vario scale spatiotemporal 2D – 5D models and processes for applications areas like cadastre and real-time GIS. The GIS Technology chair efforts result in true impact on society. For example, the topology, 3D geometry and validation research results are now part of the Oracle spatial Database Management System. Together with the Dutch cadastre the chair introduced a world-wide standard for the land administration domain model (ISO 19152). 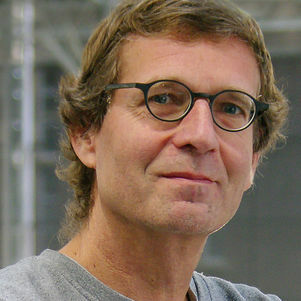 Van Oosterom manages the Varioscale geo-information project. With this project a new concept named "vario-scale" is proposed, where the data once stored in a vario-scale data structure can be used for generating all wanted scales in a smooth digital way. He is in charge of the Massive point clouds project. Within this project several novel and innovative eScience techniques will be developed. The chair also hosts international events and publishes corresponding proceedings. ‘With our activities we have a significant impact on the international geo-information research agenda’, says Van Oosterom. Together with research partners, colleagues and PhDs Peter van Oosterom won prizes for several outstanding results, like the Oracle spatial education & research excellence Award 2007, the Dutch Geo-innovation Awards in the category ‘Science’ ( 2007 and 2009), with respectively 3D Topography and Usable well-scaled mobile maps. He was granted a patent for Variable scale geo-information (2012) and a US Patent for Localisation Techniques in Buildings (2013). 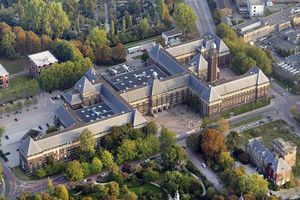 In addition to his professorship at TU Delft, Peter van Oosterom is scientific director of Wuhan University - TU Delft Joint Research Centre on Spatial Information. He is chairman of the International Federation of Surveyors (FIG) working group 3D Cadastre. Besides, he is member of editorial boards of several international journals and research monographs and member of programme committees of many GIS related conferences and events. "The GIS technology team efforts result in true impact on society"